This entry was posted on Tuesday, April 9th, 2019 at 8:07 pm	and is filed under Time to Patch. You can follow any comments to this entry through the RSS 2.0 feed. You can skip to the end and leave a comment. Pinging is currently not allowed. After the updates, my pc crashes and frezzes. System recovery helped first, but then the updates were installed again. After i tried the second time system recovery, it did not work anymore, because the new system recovery backup was made after some of the updates. Only a complete reinstallation and pause of windows update helped. I can only pause windows update 35 days. What happens after when the bad updates wants to be installed? Same happened to me on two computers. Only thing that worked to get them up and running was restore, but like you said it will try to update again. Couldn’t download auto or standalone KB4493472 unto Windows 7 pro 32 bit. 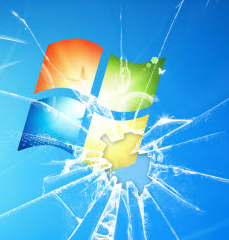 I think this is one of the most commented Patch Tuesday articles in the past few years. It’s like finding a dead canary in a mine. After the update in windows 7 the computer would update then reboot and then repeat. After this endless loop it eventually crashed the system. THANKS MICROSOFT! I had 4 updates. No problem. I have Windows 7, 64 bit home pc. I take Brian’s advice and do the updates manually after first doing a back-up. I am not a tech person, but have learned so much from Brian and the people who comment. If I were you don’t do updates. Turn it off and back up regular.